Sebaceous hyperplasia is a benign growth of the sebaceous gland in the skin. It is common in middle-aged and elderly people, with a familial form which can present as young as the puberty. It can also been observed in patients treated with oral steroids, on hemodialysis, and in conditions such as Torre syndrome and X-linked hypohidrotic ectodermal dysplasia syndrome. There are also suggestions of an association with ciclosporin, a drug commonly used after organ transplantation. These skin lesions are usually soft, yellow, dome-shaped ‘papules’. They commonly occur on the forehead, cheeks, and nose, with most being 2–4 mm in diameter. The key with Sebaceous Hypertrophy is to ensure correct diagnosis via dermoscopy and then agree, with your doctor, which treatment is best for you. How can we be sure of the diagnosis? Dermoscopy is a non-invasive and widely used diagnostic procedure in both pigmented and non-pigmented skin lesions. Although sebaceous hyperplasia is a frequent finding especially in elderly people, it may be confused with other conditions, like early basal cell carcinomas. Sometimes, doctors need to take a biopsy to be confident about the diagnosis. Only recently, we have found ways to be more confident in using dermoscopy to positively diagnose sebaceous hyperplasia. Bryden et al. defined ‘cumulus sign’ as a descriptive sign of sebaceous hyperplasia, resembling the cumulus clouds. 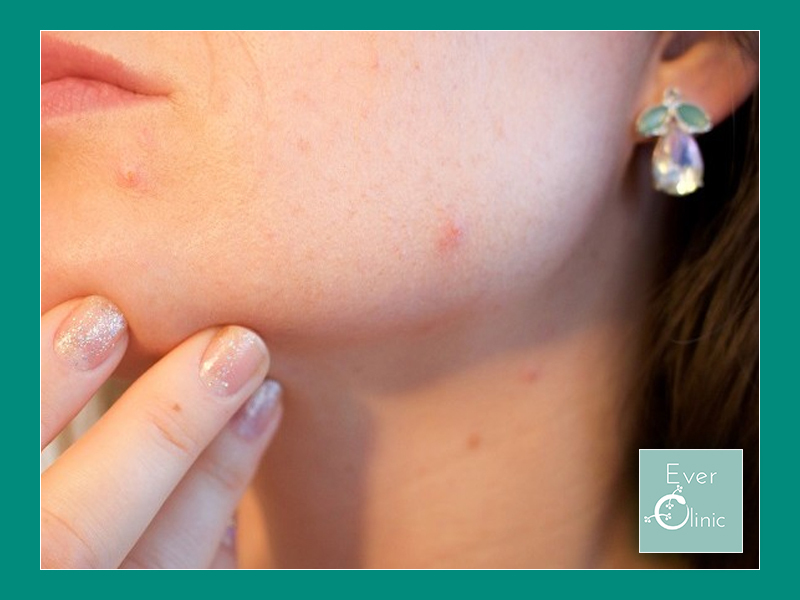 This sign represents a sebum collection produced by growth of the sebaceous glands. A recent study detected this sign in 100% of patients. It also introduced the ‘bonbon toffee sign’ as a simple and easily recognisable phrase. Using these signs to establish a dermatoscopic diagnosis of the sebaceous hyperplasia will help minimise unnecessary biopsies. Having diagnosed the condition, what next? Despite being benign, lesions can have a major cosmetic and psychological effect on patients because they are predominantly located on the face. The treatment options include surgical excision, curettage, cryotherapy, cautery, and CO2 laser, all with associated risk of scarring and pigmentary change. Recently, light based therapy has shown some good results, with shorter recover periods but more discomfort and higher cost. Pulse Dye Laser (PDL) successfully treats other benign skin lesions and has been shown to be successful in treating sebaceous hyperplasia. Lesions are eliminated quickly, easily, and painlessly, leaving only a transient purplish (purpuric) effect. Treatment effect is explained by the fact the laser light is absorbed by the vascular component of the lesion, destruction of the vessels removing the nutritional support from the sebaceous hyperplasia. Of course other non-ablative lasers will have a similar effect to PDL, when used correctly, and we can even offer the new plasma device which uses electrical (RF) energy to vaporize the lesions.